Fresh Apples and Cranberries make this classic crumb pie perfectly festive and a delicious Thanksgiving Dessert. Happy Monday, Friends. I hope you are all excited about the short work week and Thanksgiving!!! If you haven’t finalized your Thanksgiving dessert menu this year. 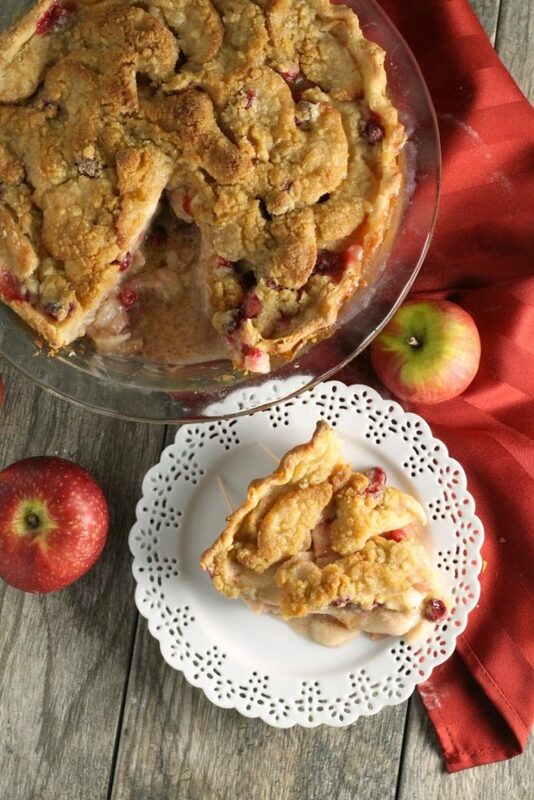 May I recommend this Cranberry Apple Crumb Pie? I made it this weekend and several people said lovely things about it. 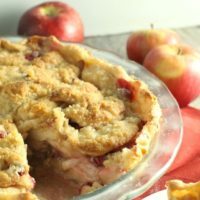 I had some cranberries on hand from another recipe and decided to throw them in with my family’s favorite apple pie recipe to use them up. I love the cranberry apple flavor combination. 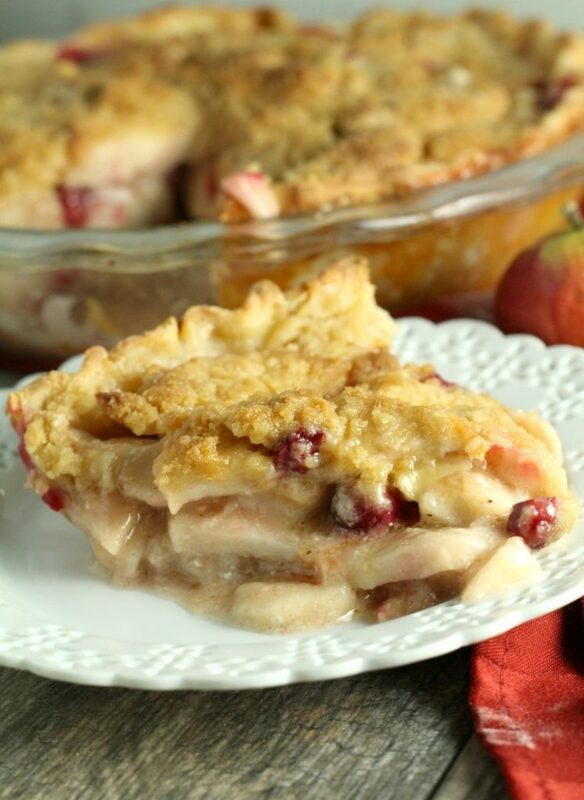 The cranberries bring such a bright flavor and the apples tone down the tartness. I had wanted to create a cranberry apple dessert this fall and I’m glad I finally did. I made a few alterations to our favorite pie recipe. (Would you like me to share our go to pie recipe?) Apple pie is my dad’s favorite dessert and we have it mastered. We use a creamy apple filling characteristic of Dutch apple pies and the crumb topping of the French apple pie. With our own American spin, we have named it Multicultural Apple Pie. Anyway, this apple cranberry version is based on our favorite. I didn’t put a lot of cranberries in, because I don’t want their flavor to overpower the apples, but if you want more cranberries, go ahead and add them, just reduce the number of apples a bit. Prepare your crust and line a 9.5 inch deep dish pie plate with the pastry. Preheat oven to 425 F. Toss the apples and cranberries with the sugar, flour, nutmeg, cinnamon and salt. 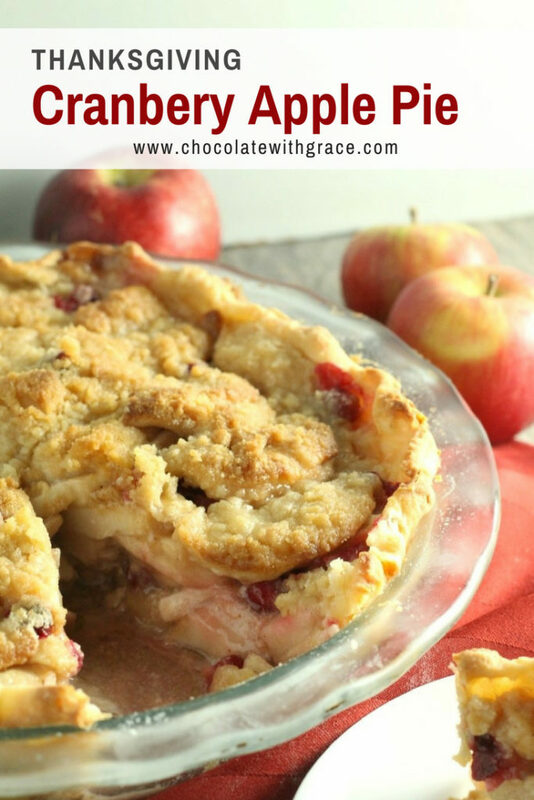 Place the apples and cranberries into the pastry lined pie plate. Dot with small chunks of butter, Pour the whipping cream over the apples. Make the crumb topping by cutting the cold butter into the flour and brown sugar until crumbly. Top the pie with the crumb mixture and bake at 425 F for 40-60 minutes. 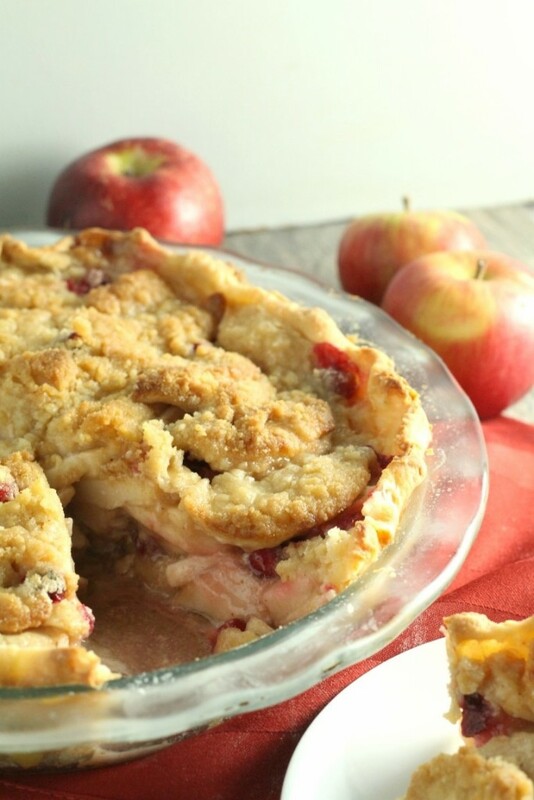 Or until apples are tender and crust is lightly browned. Bake time can greatly very based on how crisp and ripe the apples were. Cranberry Cheesecake Pie for Bake or Break. Cranberry Orange Custard Pie for The Creative Bite. 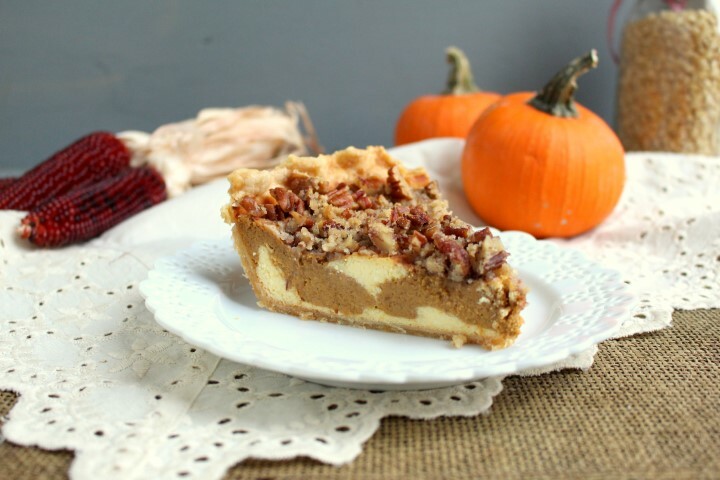 Also try my Pumpkin Cheesecake Streusel Pie!